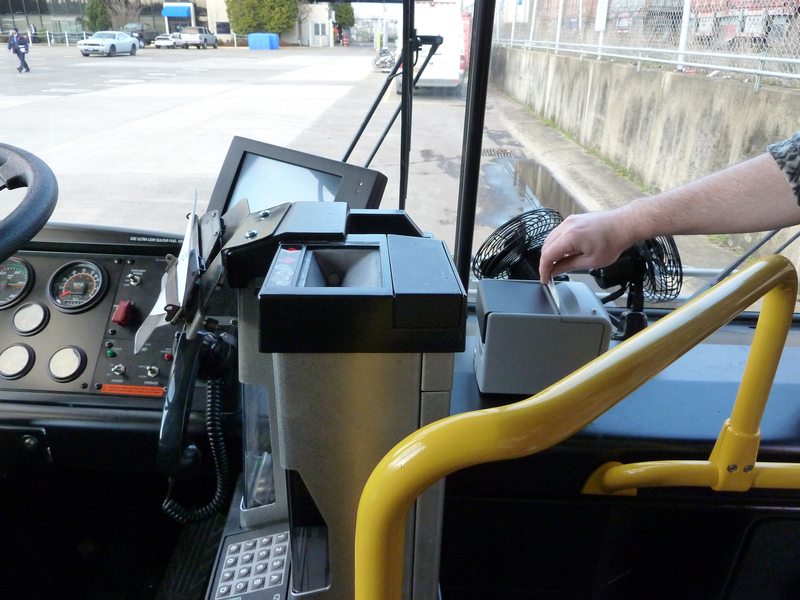 On Monday, TriMet will roll out its new ticket printing system on all bus lines. Beginning July 1, riders will grab their tickets from the onboard ticket printer located to the right of the fare box. The new tickets are easier to read and more durable compared to the thin, newsprint transfer slip riders currently receive from operators. A test of the ticket printers earlier this year on bus lines 17 and 70 proved overwhelmingly successful with both riders and operators. Based on feedback, minor adjustments were made including larger print on the tickets and increasing the color contrast on the buttons on the console the operators use to select fare type. The bus printers are located inside the bus and are about the size of a shoebox. They are produced by INIT, a leader in Intelligent Transportation Systems (ITS) and fare collection systems. 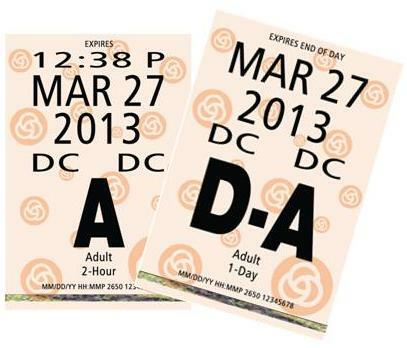 Riders put the necessary fare into the fare box for either a 2-hour ticket or a day pass, just as they usually do. The bus operator will press a button on the console for the corresponding fare. The ticket prints and pops up out of a slot on the top of the machine. The rider takes the ticket and proceeds with boarding. This system will be easier for operators and fare enforcers, and may speed up the boarding process for riders. TriMet’s aim is to provide a smooth transition to this new technology. To ensure that riders have access to valid fare at all times, bus operators may still use tissue transfers in the early stages of this transition or in the event of technical difficulty. When TriMet eliminated zones and established its base 2-hour ticket, the agency began exploring options to ensure bus tickets would be valid for the full two hours. The current tear-off transfers were not precise in showing the valid time of the transfer. The improved bus tickets match those of MAX and WES, taking the confusion out of transferring. They have a foil security strip and the 2-hour tickets are good for exactly two hours. With the new validated 2-hour ticket, just like with the old transfers, riders can use any combination of buses, MAX and WES trains and streetcars. When transferring, a rider just needs to board for the next segment of the trip before the expiration time shown on the ticket. If on a vehicle when the ticket expires, a rider is still able to complete the trip. Separate from the ticket printers, TriMet plans to launch the much anticipated mobile ticketing system this summer. The TriMet Tickets app will allow riders to conveniently buy and use tickets on their smartphones to ride buses, the MAX and WES. A beta test was recently completed by some 150 transit riders. Modifications are currently underway following feedback from testers and operators. The systemwide launch is expected in August. Find more information about the TriMet tickets app at trimet.org/mobiletickets.